We love our clients. 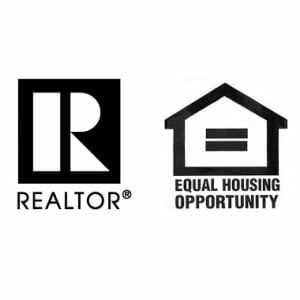 Read what they have to say about working with the Eric Marcus Real Estate Group. Eric is absolutely amazing to work with. Exceptionally patient. Amazing at walking a newbie through the entire process. Excellent guidance. Complete knowledge of his area. And open about holes in area knowledge. Willing to help with referrals for closing needs. His team is just as helpful & responsive. Truly going above & beyond. I will refer (& push) anyone I happen to hear about who is looking at real estate to work with Eric Marcus. Risa was AMAZING. We are first-time home buyers who knew very little about the process and Risa made it feel like a piece of cake. Risa was AMAZING. We are first-time home buyers who knew very little about the process and Risa made it feel like a piece of cake. When showing us places, she seemed to know us far better than we knew ourselves (we credit her 100% with finding the place of our dreams and budget). She was patient, respectful, responsive (her email response time is second to none). She has mastered the balance of professionalism and personal connection - she was a strong and loyal advocate for us from start to finish and gave us incredibly valuable advice. She was so integral to our process that we even insisted she be in our photo at the end of closing. We love Risa and will recommend her to everyone we know. Eric was able to pinpoint exactly what we were looking for. Eric helped us find THE perfect house. When we saw it, we knew it was our house. Eric was able to pinpoint exactly what we were looking for. Thanks a bunch, Eric!! He was always available, very knowledgeable, extremely patient, and incredibly thorough. As a first time buyer, I was very nervous about the condo buying process, but Eric made it easy. He was always available, very knowledgeable, extremely patient, and incredibly thorough. He walked me through every step of the process and made sure I understood everything. I have already recommended him to all of my friends and will continue to do so! I would not hesitate a second to contact him again if need be. It was very important to get the help and advice from Eric, the apartment I bought with his help was exactly what I was looking for in a location that has been thriving since. I would not hesitate a second to contact him again if need be. Eric Marcus is one of my business partners and a very well versed real estate agent in the Chicago area. Eric specializes in a unique tailored experience for each his clients; whether they&apos;re buying or selling a home. I know that his continued efforts to remain active with the ever-changing housing market while staying involved in his client’s goals gives him the know how to operating very effectively! Thank you, Eric.